The Farnborough International Airshow is a week-long event that combines a major trade exhibition for the aerospace and defence industries with a public airshow. The event is held in mid-July in even-numbered years at Farnborough Airport in Hampshire. The airshow is an important event in the international aerospace and defence industry calendar, providing an opportunity to demonstrate civilian and military aircraft to potential customers and investors. The show is also used for the announcement of new developments and orders, and to attract media coverage. The airshow alternates with the Paris Airshow, and this year runs from 11th – 15th (corporate days) and 16th – 17th (publics days). Latest statistics indicate that this years event will exceed target and market expectations with Austria, Brazil, Republic of Ireland and South Korea all committing to dedicated pavilions. 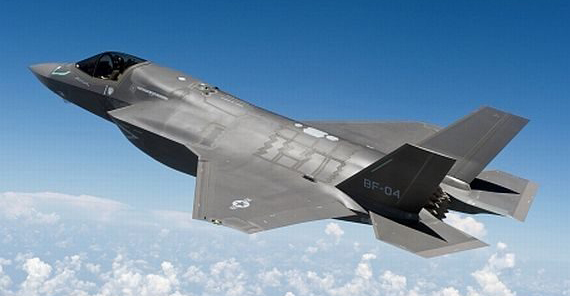 Lockheed Martin will unveil its new permanent structure and there will be strong presence from their latest state-of-the-art F-35 Lightning II fighter jet that will be flying in the daily displays and has also been tipped to be used on the Royal Navy’s new aircraft carriers. Powervamp is proud to announce that it will, again, be heavily involved with Farnborough 2016 as the full airshow support division is deployed to supply all AC and DC ground power, and air-conditioning to aircraft located within the static park. Powervamp’s in-house designed and manufactured range of PV45 and PV90-3 400Hz static frequency converters as well as its latest generation PS300 amp power supplies will be in use for the duration of the airshow. The range of Powervamp airshow equipment enable the aircraft on display to have full use of their avionics suite as well as other power auxilaries such as electric doors, cabin lighting and air-conditioning without the need to run their noisy APU (auxiliary power supply). Powervamp’s environmentally green approach to supplying ground power has been embraced throughout the aviation industry with the likes of the award winning Coolspool battery carts grabbing headlines as airlines see the cost savings coupled with the green credentials as a serious alternative to the diesel GPU. With an increase of aircraft making their debuts at the airshow and with a recent surge in online ticket sales for the world famous airshow, the stage is set for another memorable Farnborough International Airshow. If you are visiting the airshow and wish to find out more about Powervamp’s static frequency converters and power supplies please email info@powervamp.com or call +44 (0)1934 643000 to make an appointment with the sales team.